Bribón have won Race 6 of the Marseille Trophy ahead of RÁN, Container and Quantum Racing in fourth. Racing across the entrance to the Rade Sud with the imposing Mont Rosa to windward and funelling and interrupting the southerly breeze, RÁN has now scored 2,4,4,2 across the last four races. With big differences in wind pressure and angles between the left, inshore line closer to the city, and the offshore flank. 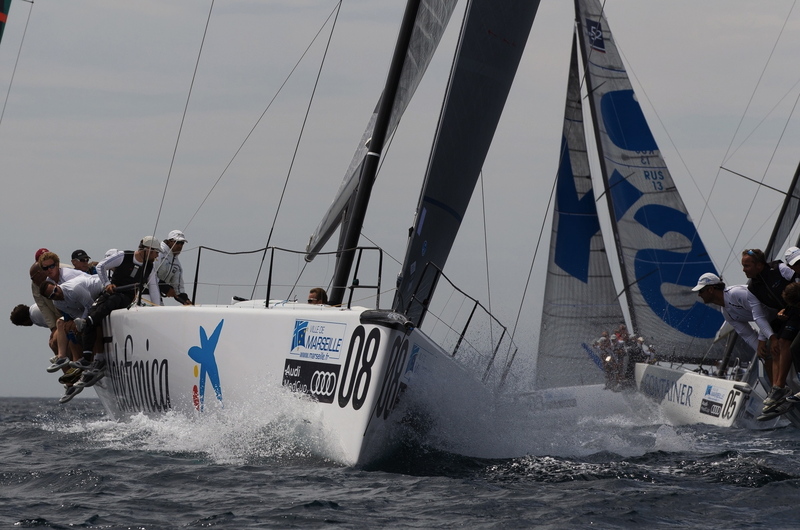 Bribon's Ross MacDonald called the optimum angles and pressure for skipper-helm Gonzalo Aurajo as they took places on the left of the second beat, overhauling early leader Audi Azzurra Sailing Team who dropped back to fifth on the run.